This is the Perfect Solution for Minor Dents. 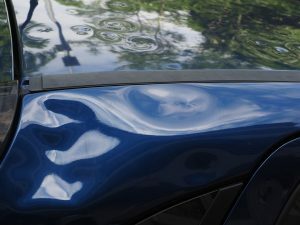 Many smaller dents can be removed without expensive body work and repainting. 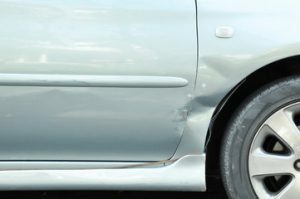 You will love the paintless dent removal service we offer here at Andy’s Auto Body. 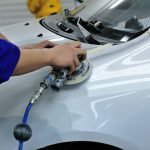 This will not only make your vehicle look new again, but it is a quicker and more cost-effective method. 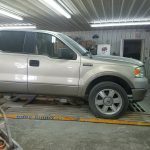 Less expensive than traditional dent repair, traditional dent removal requires sanding, bumping (hammering the metal), buffing, and paint matching. That weakens your car’s body by reducing its elasticity, and it damages your clear coat finish. 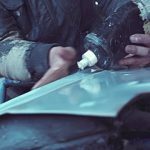 We use advanced techniques and special tools to repair dents without making you pay a pretty penny. You will be amazed at the amount of money you can save, with getting most dents, dings, hail damage, etc removed. 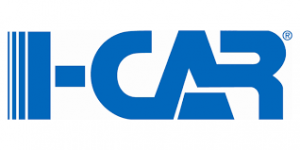 We will make sure you SAVE on the cost. Monday- 7:30 A.M.- 5:30 P.M.
Tuesday- 7:30 A.M.- 5:30 P.M.
Wednesday- 7:30 A.M.- 5:30 P.M.
Thursday- 7:30 A.M.- 5:30 P.M.
Friday- 7:30 A.M.- 5:30 P.M.